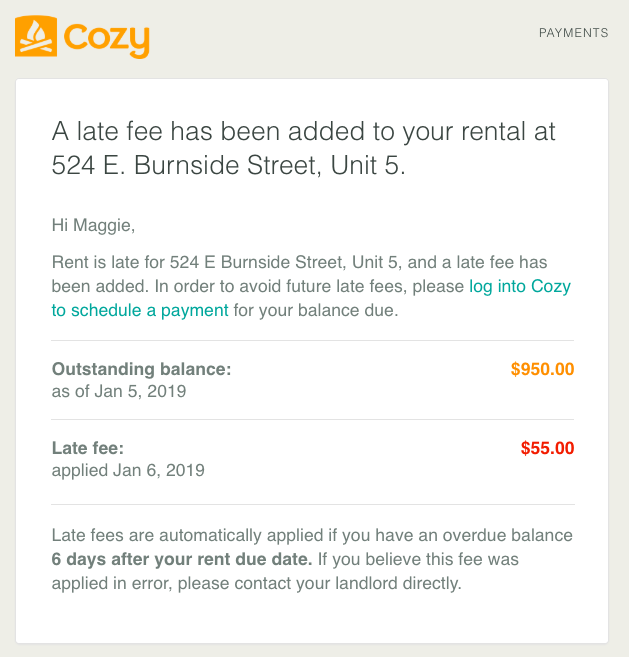 When you invite your renters to pay rent through Cozy, we make sure to keep them in the loop about their rent payments. 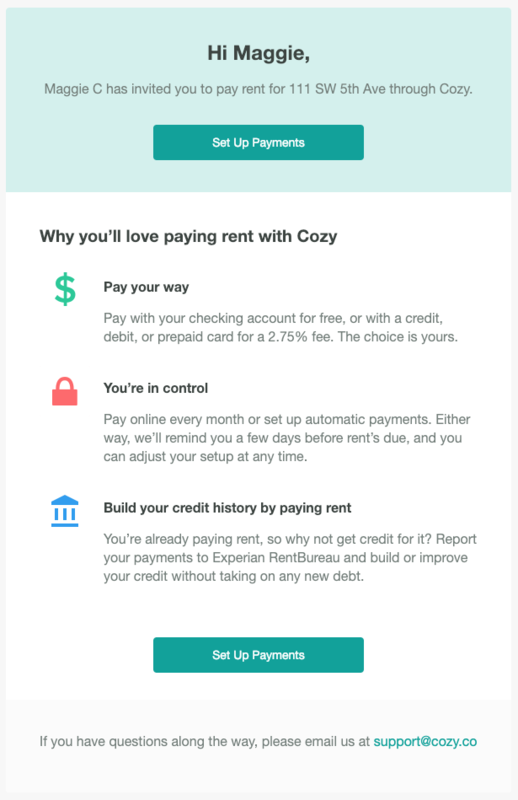 If you've set up automatic late fees, we'll also send your renter these emails if they still need to pay. Rent is due today. Avoid a late fee. A late fee has been added. 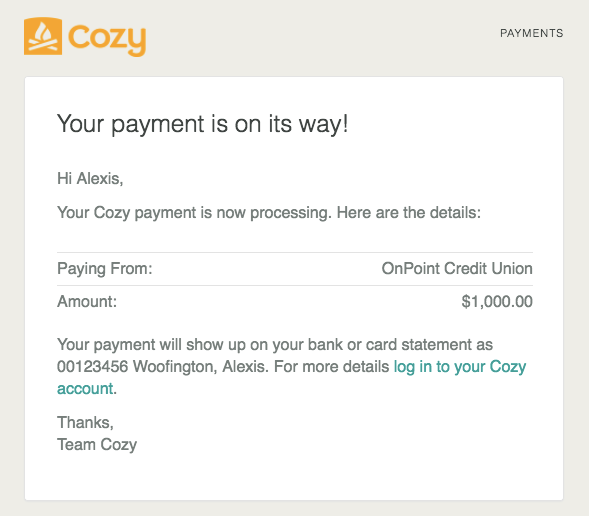 When you add a renter to make payments through Cozy, we'll send them an invite to set up payments. Your rent is due soon. Let's set up your payments! 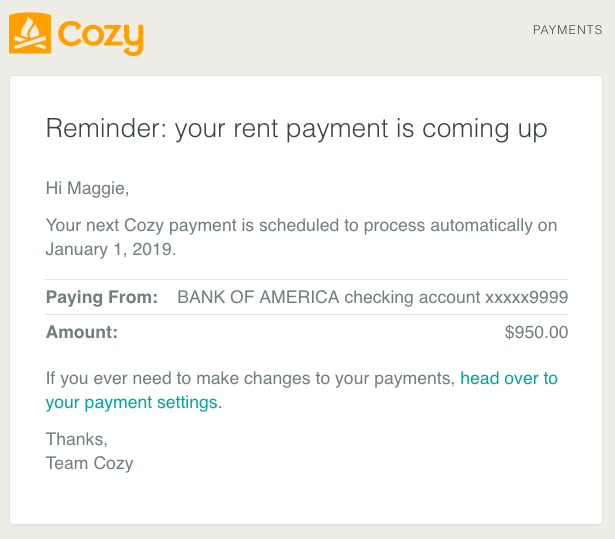 Five days before rent is due, we email renters a reminder. If they haven't scheduled a payment yet, we'll remind them to set up a payment. 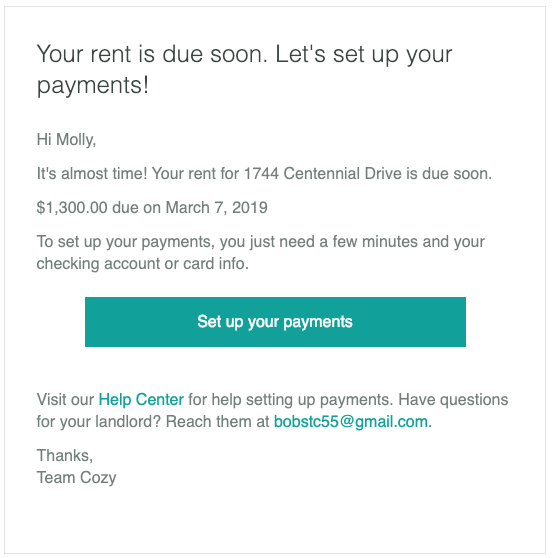 Five days before rent is due, we email renters a reminder. If they've already scheduled a payment, we'll remind them that their payment will send soon. They'll have the chance to make any changes to their payment if they need. As soon as we begin processing your renter's payment, we'll send them an email with the payment details. 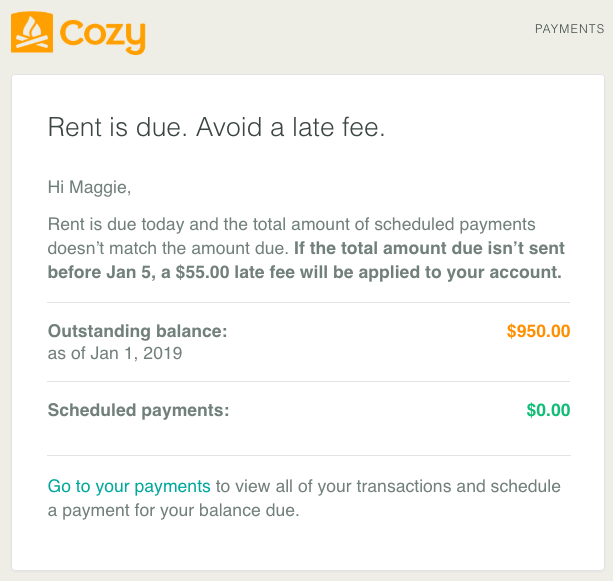 If you've set up automatic late fees, we'll send your renter a reminder email the day rent is due. 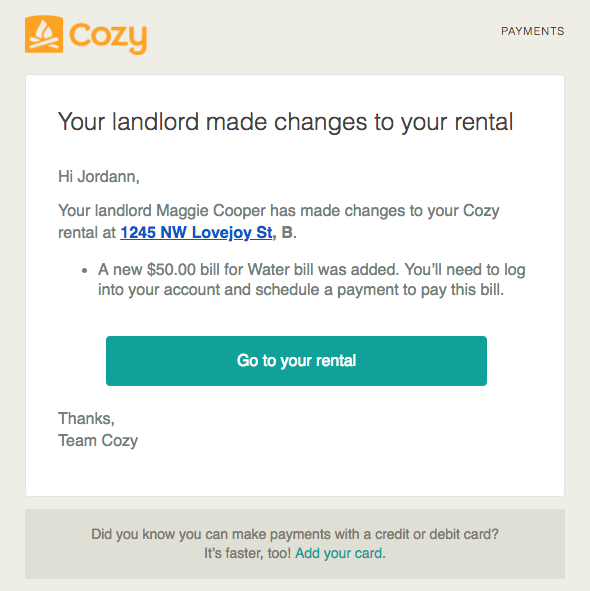 If you've set up automatic late fees, we'll send your renter an email letting them know a late fee was added. When you add a manual Bill or Credit to the ledger, or change the start or end date on the lease, we'll send your renter an email that same day to let them know what's changed and what steps they'll need to take.